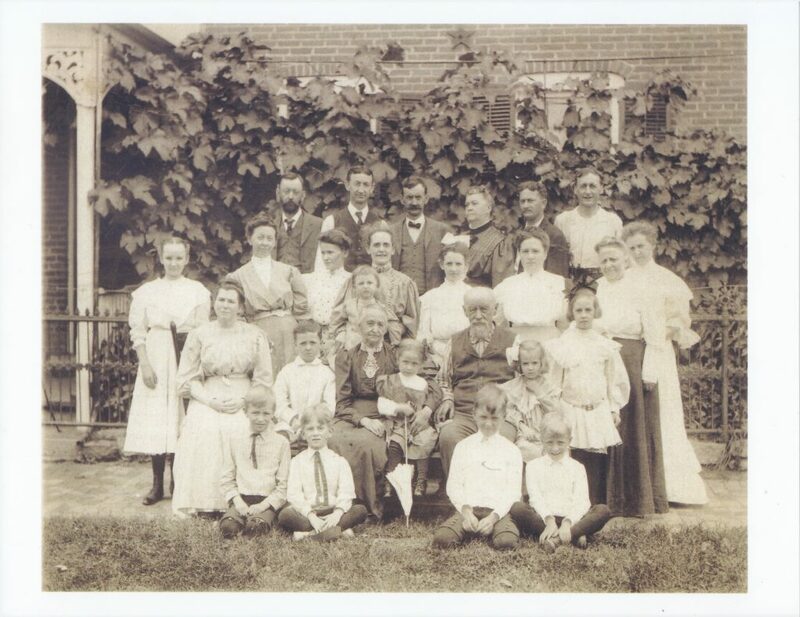 I started working on my family history in 2010 at the request of my grandparents. I poked around for a while at my father’s side of the family. No one alive knew about our history before my great grandfather, Joseph Weiss. His father, Anton Weiss, died in 1910, and his mother, Clara Voigt, died in 1915. She had moved to California to reside with her children there. That was family that none of us knew about any more. I researched Anton and then began working on his descendants. Through that work and a little bit of serendipity, I got in contact with Anne Falconer. She is a great grandchild of Anton and Clara. Because Clara had gone to live with the California children, Anne had her photo album. After emailing a few times, Anne very kindly made copies of the photos and mailed them to me. She even sent a 150 year old print of a photo of Joseph Weiss as a very young boy. The photos she sent were the first visual depiction of many of my family that I’d ever seen. The following was taken at Anton and Clara’s 50th wedding anniversary. I was browsing Find A Grave this morning and came across a memorial for Anne. She died a year ago. I never met her, but she was a help and inspiration for me early on in this pastime.